A friend gave me a copy of Capitalising on Culture, Competing on Difference by Finbarr Bradley and James J. Kennelly. The sub-title is 'Innovation, Learning and Sense of Place in a Globalising Ireland'. It's an ambitious book: it tries to argue for a sense of Irishness and Irish identity as a source of creative advantage in a global marketplace. I wish it were so - but I don't think it is. The conclusion to their book lapses into the by-now-standard-question-for-the-Leaving-Cert view that the Celtic Tiger made us sort of materially better off but we lost our Celtic souls along the way. Is there anyone working in Irish academia or media (or US in Kennelly's case) who actually thinks that the past decade or so have been a massively positive thing for Ireland? Reading their book - which is very contemporary in its sources - leaves me feeling that I'm listening to a dialogue between 50-something academics and 40-something journalists. It's a dialogue I find interesting, and am happy to join in, but I sense all the time that the 'main event' is happening elsewhere. I think the ultimate problem with books like Bradley and Kennelly's is that they are compelled to reduce their analysis to a list of things the government should do. But as I've said before, innovation happens at the margins, in the spaces between the pillars of the status quo. My money isn't on the 40-somethings and 50-somethings (proud as I am to be among their ranks! ), rather my money's on Ireland's first generation of Digital Natives who take for granted tools like social networking, blogging, IM, SMS, Google etc and are gleefully playing with them to create new Irish stories for the 21st Century. No better example is the fantastic Sophia's Story (I'm referring to the concept - I'm several decades too old to get the story). 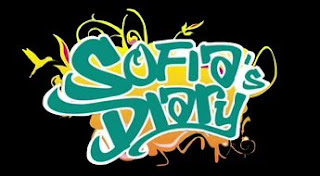 Created by Campbell Ryan Productions in Dun Laoghaire, it was launched on Bebo in March 2008 and had 5 million+ viewers in just two weeks. You can learn more about it from Tiona Campbell's presentation to the Institute of European Affairs here. I think our advantage as Irish people is our openness - brought about by being a small nation crucially dependent on trade; our use of the English language and easy absorption of US culture (good and bad); and our 'catholic' values that make us comfortable dealing with most people in most parts of the world without a whole lot of baggage. All of which, of course, is a consequence of our Irish history and culture. Many thanks for reviewing our book, 'Capitalising on Culture, Competing on Difference'. I feel it right to give you a short response. You say a problem with books like ours is that we reduce our analysis to "a list of things the government should do". We actually tried to do the opposite! We used the Irish Revival as a guide for two reasons. First, and as you point out, it focused on Irishness, identity, etc. But there is a second, equally important lesson from the Revival. 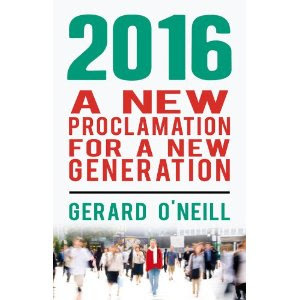 It relied very much on 'self-generation' or 'self-help', not the political process, as the spur for Irish development. We argue for radical change, both in the structure and mission, of Irish education (God knows, I realise better than most how badly this is needed!). You're bang on: young people using lots of wonderful digital stuff are the future. Yet, I still feel old fogies like me (and Jim) can still make a great contribution. The real challenge is to combine all this neat hi-tech flexibility with rootedness, sense of place and meaning in order to create dynamic learning environments. Why wait for your grandkids' generation so things come round? Having said this, I really appreciate you taking an interest in our work. By the way, great (provocative) blog too!